Got an Unwanted Car That You Want to Get Rid Of? How Does A Free Removal and Quick Cash Sale Sound? We want your unwanted car! Whatever the make, model and condition of the car, we’re interested! Call Cash for Cars Adelaide and we will be on our way to buy your unwanted car. That’s right. At Cash for Cars Adelaide, all it takes is a phone call for you to know if you’d like to Sell Your Car or truck to us. We are car buyers in Adelaide that are legitimate buyers, making fair cash prices for cars and trucks of every make and condition. With cash quotes offered over the phone and online, sellers have nothing to lose to obtain a quote, but everything to gain! We make top cash offers for any make and condition of car or truck. Local Car Buyer Adelaide – that is what Cash for Cars Adelaide is. We are car buyers that can easily be contacted for a cash quote for their cars regardless of the make and condition. We are trusted buyers that make fair cash payments for used, scrap, accident, old, unwanted, and damaged cars and trucks, and love to make our best or highest cash offer. With us, you have a buyer that you can trust, and one that doesn’t waste your time. With a simple call to us, or by completing our online form, you can get a cash quote for your car or truck today. You don’t load it up; we load it up! With Cash 4 Cars of Adelaide, you have a car buyer that doesn’t require you to bring the car to us. We come to you instead, to buy and remove your car or truck. We provide free removals to all our local customers. Removals that are guaranteed to be fast and convenient. You choose the time, and we will be there ready to buy & remove your truck. It’s as simple as that. To get your car sold to us, the process is pretty quick and straightforward. 1. Contact Cash for Cars Adelaide by giving us a call over the phone or completing our online form. Our appraiser will ask for a complete description of your car, so be ready to provide all the specs like its odometer reading, the condition of its tyres, what’s under the hood, etc. 2. Accept or reject our cash quote for your unwanted car. 3. Schedule a free car removal, Adelaide. Our removals are quick and convenient and scheduled at a time that you can fit into your day. With Cash For Cars of Adelaide, there are no costs involved in getting your car sold. We also ensure that the entire sales process happens in the shortest possible time period, so as not to waste our customers precious time. We are a trusted provider in Adelaide that buys every make and condition of cars and trucks. 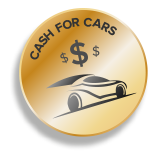  Top cash – We make instant cash payments on the spot, always offering our best or highest price for cars and trucks.  Free car removals – Our removal services are courtesies to all our Adelaide customers.  Free car wreckers & recyclers – We optimise the value of damaged, wrecked, and old cars with our expertise in wrecking & recycling. Contact Cash 4 Cars of Adelaide for a top cash offer for your unwanted vehicle by calling us at the number below. Quotes can also be obtained by completing our online quote form at the top right of this page. Give us a call for an instant cash quote for your car or truck. Call us at 0477 413 136.